You drive a Jeep Grand Cherokee SRT8 with top-quality Brembo front disc brakes, so why settle for some no-name brake pads from the local auto parts store when it comes time to replace your front brake pads? 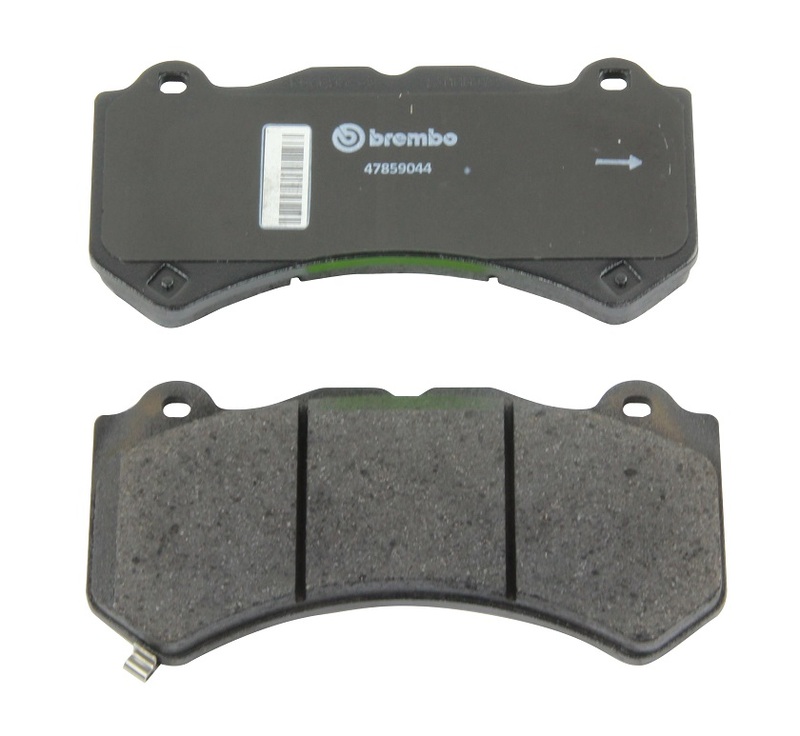 Keep the original quality with a genuine set of Brembo replacement front brake pads. These brake pads fit 2012 to 2019 Jeep Grand Cherokee SRT8 front wheel disc brakes. Your front brakes provide most of your stopping power, so keep your SRT8 performing the way it's supposed to with Brembo pads from JustforJeeps.com. These brake pads will work with BR4 & BNN brake systems. Please select your year above. Like a idiot I took my car to the dealership to get my Jeep SRT pads changed at a mere 12,000 miles and once I got over the $930.00 sticker shock of the cost ( pads $480.00 and Labor $450) I was told MOPAR had a 6 week back order on them and to drive lightly. Just Jeeps.com provided me with Brembo pads same as Dealership minus the Mopar stamp and saved me a ton of money and I actually had them installed by Mr. Tire and total cost installed (pads $221.00, Install $146.00) $367.00 They work great and I will be buying again in 12,000 miles ugh.